Serena Mountain Village nestles in the heart of a coffee plantation on the shores of Lake Duluti - a haven of calm and serenity just outside the hustle and bustle of Arusha. This Arusha Hotel has 42 guest rooms,6 superior rooms and 3 twin rooms. The stone-built rooms are housed in a half-moon of traditional rondavel circular dwellings with views over a bougainvillea-cloaked slope descending to the lake?s shores. Each makuti thatched rondavel has been arranged to cluster in a village-style grouping around the shade of an ancient forest tree. 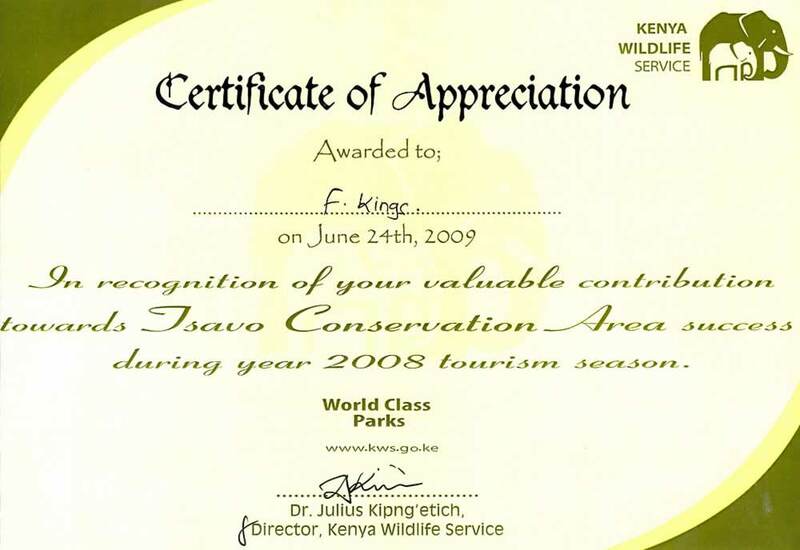 Facilities include; 24-hour Forex services, wide range of board games plus a full library of books on Africa,- Extensively stocked Africana Gift and Curio Shop, beauty treatments, mountain bikes, canoes, nature walks, coffee farms and bird watching. The Arusha Coffee Lodge lies in one of Tanzania's largest coffee plantations, surrounded by endless acres of berry laden coffee bushes. 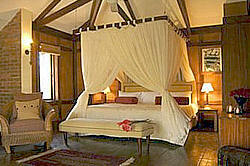 It is designed around the original plantation house giving one the feel of the long bygone days. 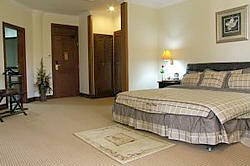 The property is strategically located on the western edge of Arusha town and is 5 minutes from the Arusha airport. The Arusha Coffee Lodge offers 18 plantation houses designed around the original houses, lavishly furnished with a split level, fire place and spacious verandah. 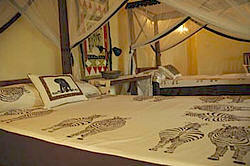 The rooms have 10 twin and 8 double beds, with mosquito netting hanging from a spacious wooden frame. The reception is furnished with comfortable leather chairs and a desk, in an airy open area with coffee trees clustered all around. The lounge is a warm area with comfortable leather sofas, elegantly furnished, dim lights, with brick walls and wooden floors. 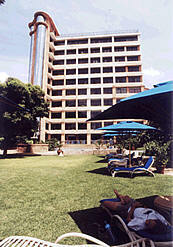 The Dik Dik Hotel is a mid range hotel located j ust outside the heart of the central business district of Arusha. This hotel offers accommodation in 18 double suites all with mini-bars and en-suite washrooms, air conditioning and other modern amenities. 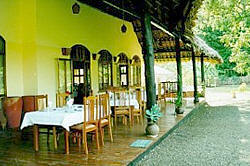 The restaurant is situated in beautiful grounds with a swimming pool and bird lake at the foot of Mount Meru. Some of the facilities at the Dik Dik Hotel inlcude an own power supply, satellite telephone, fax facilities and a modern water treatment plant. Impala Hotel is located in Arusha town, at the foot of Mount Meru adjacent to a quiet residential area in the suburbs of Arusha 45 minutes drive from Kilimanjaro International Airport. 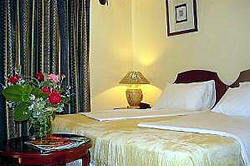 The hotel is set in a beautifully landscaped garden with a profusion of flowers and birds. 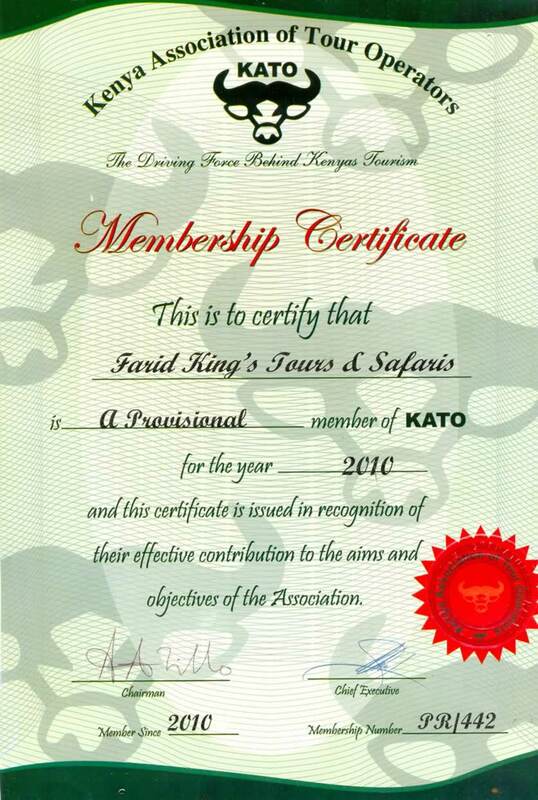 Northern Tanzania safaris and tours for Serengeti, Lake Manyara, Ngorongoro, Tarangire and Mount Kilimanjaro climb start from Arusha, Impala Hotel can be requested as your preferred accommodation on your first night in Africa. The Kilimanjaro International Airport (KIA) Lodge is located just three minutes away from the airport, on a secluded hill from where one can admire the vast views of the African plains and the majestic Mount Kilimanjaro. The Lodge features traditional African cottage rooms with beautiful gardens making KIA a true Lodge where the real taste of Africa can be appreciated. 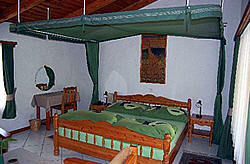 The Kilimanjaro International Airport (KIA) Lodge has a total of 40 twin bedded rooms, built in cottage rooms. Facilities include; 3 pin plug electricity sockets. Multi plugs in all the rooms, 220V / 240V electricity supply, Air Conditioning in all the rooms, In Room Safes, Standard flush toilet with en-suite facilities, Internet and e-mail facilities for clients and a swimming pool . Kibo Palace Hotel is located in Arusha, gateway to the world's most renowned national parks. Kibo Palace Hotel is well within the business and commercial districts of Arusha, and close to major tourist attractions - Mount Kilimanjaro, Serengeti, Ngorongoro, Lake Manyara and Tarangire National Parks. The Moivaro Coffee Plantation Lodge is nestled right in the heart of beautiful, natural scenery just 7 km from the hustle and bustle of Arusha city centre. The Moivbaro Lodge offers accommodation n cottages, each with its own veranda ideal for game viewing, minibars, direct dial telephone, in room safety locks and multi channel TV sets. The hotel facilities include a swimming pool, children’s playground, souvenir shop, internet corner and a massage parlour. Olasiti is a sixteen bedroom garden oasis situated only 7 kms from the central Arusha - within easy reach of all amenities but still providing the perfect haven for visitors seeking a tranquil venue with en-suite accommodation. 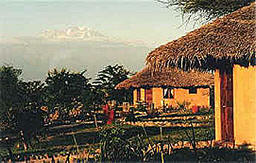 Protea Hotel Aishi Machame is situated at the foot of Mt. Kilimanjaro, Africa's highest mountain, Aishi is a few kilometers f rom the Machame Gate where climbers commence their ascent of this most majestic mountain. The Protea Hotel Aishi is located 27km from Kilimanjaro International Airport and 12km from Moshi town all enjoying good quality tarmac roads. A cool, coastal and comfortable atmosphere pervades the stylish and luxurious accommodation in each of the 30 suites. The cottages style rooms each with a garden terrace and hammock overlook the Indian Ocean and are furnished to meet Protea Hotel's international standards of comfort and elegance.